MTV's Rebel Music Senegal Episode Released! At long last, the Senegal episode I had the honor to direct for MTV's Rebel Music Season 02 is now available online to watch. I recently had the honor to work with MTV's Rebel Music series on an Episode in Senegal with my good friends Keur Gui. Working together with my good friend and talented DP Alfonso Bui, we took an approach that combined some standard run&gun verite doc film-making with some higher end trick shooting. The series was produced in Association with my longtime collaborative partner Ben of Nomadic Wax! The episode will air later in 2015. In the meantime, here is the official press release for the whole series, and you can explore the the Senegal Episode's interactive website as well. Watch the trailer for the whole series here. I will post up more info on the Senegal episode as its release date nears. A local DC doc that I had the privilege to edit is premiering here on May 1st, with support from the DC Film Office. Info below. One Common Unity presents the World Premiere of the new documentary film Fly By Light, to be held on Friday evening, May 1, 2015 at the National Geographic Theatre in Washington D.C. 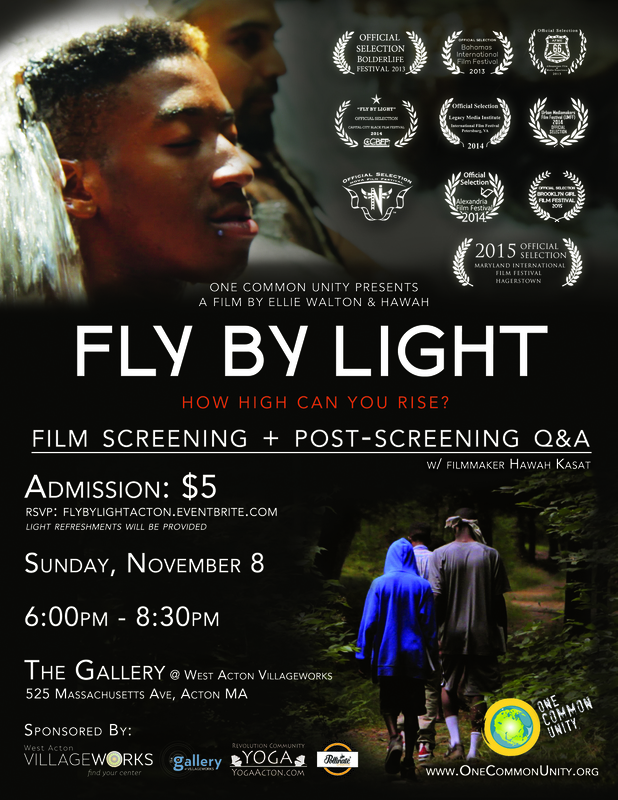 Fly By Light - a film about a group of teenagers leaving the streets of Washington, DC to participate in an ambitious arts-based peace education program - captures the journey of four teenagers escaping the city's violence and abusive street corners to explore the mountaintops in West Virginia, and is an intimate exploration of the chaotic, confusing, and emotional journey to rewrite a young person’s future. Watch the trailer here, and purchase your tickets for the screening here. For more info on the screening, click here. A heartfelt thanks goes to WAMU's Ally Schweitzer, who has written up two of my videos in the past month. The first was selecting "The Lick" as DC's best entry in NPR's national Tiny Desk competition. DC artist Kokayi and I collaborated on the simple video and were pleasantly surprised with the overwhelming positive feedback, even though it ultimately did not end up winning the competition. A few weeks later, Ally showed us love again as Kokayi and I released his first music video of 2015, a video we shot across DC and at a farm in PG County throughout the Fall of 2014. Ally calls the video a "tearjerker." Early this past Fall, my good friend Kokayi and I set out to shoot a video for his latest single. A beautiful and simple song, we decided to keep the video the same. We shot slow motion sequences with his son spread out through the city, and then shot Kokayi's parts out on a farm in PG County. Another fun shoot with my good friend Kokayi at his house studio in NE DC. We shot this for the NPR Tiny Desk Concert Series competition. Had a good time braving the cold to shoot a quick street video with my good friends Keur Gui (Senegal) and Kokayi (DC). We shot at the underpass 'secret spot' in SE DC under 295. Proud to say we at Nomadic Wax wrapped up our latest arts exchange project, spearheaded by DC-artist Kokayi and a DC Commission for the Arts and Humanities Sister-Cities grant. Check out the video, edited by yours truly, and shot by my good friend Alfonso Bui. Oh, and we produced a mix tape for the project as well. Enjoy! At Nomadic Wax, our team has been working hard on a series of audio projects we like to call Audio Documentaries. In our case, we are blending the traditional hip hop mixtape format with standard radio journalism to tell stories through music. Take a peak at a few of the one’s we’ve done. Selected for the "Top 99 Under 33 foreign policy leaders for 2013"
Taker' category for my work with Nomadic Wax.